Try our free schedule maker, registration software, referral program, waiver solution, or curling website builder. Playpass is built for mobile and works beautifully on tablets and computers. Spend more time growing your curling organization, and less time on scheduling, registration, waivers, and building a website. Create and share sports schedules for leagues and tournaments. Update scores and track standings online. Accept online sports registrations and payments. Gather player info and offer discounts or promotions. Reward your members for inviting their friends. Create a referral program with automatic tracking and rewards. Collect signed sports waivers, liability forms, and completed documents. Access and store them securely. 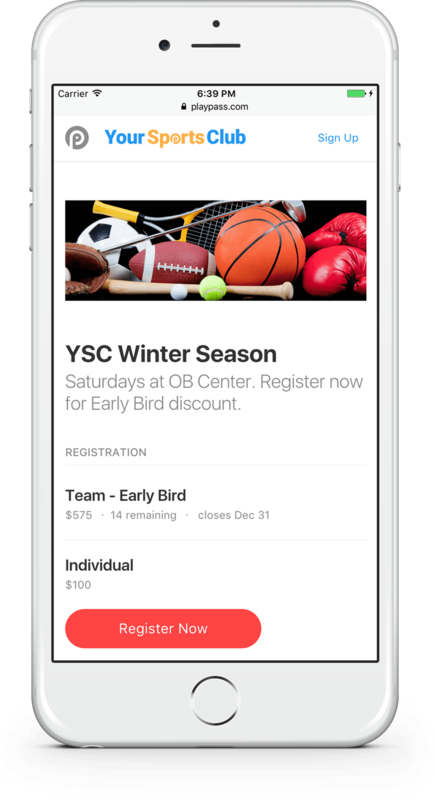 Create a beautiful sports website that's designed for mobile. Add pages, share files, and set up a custom domain.